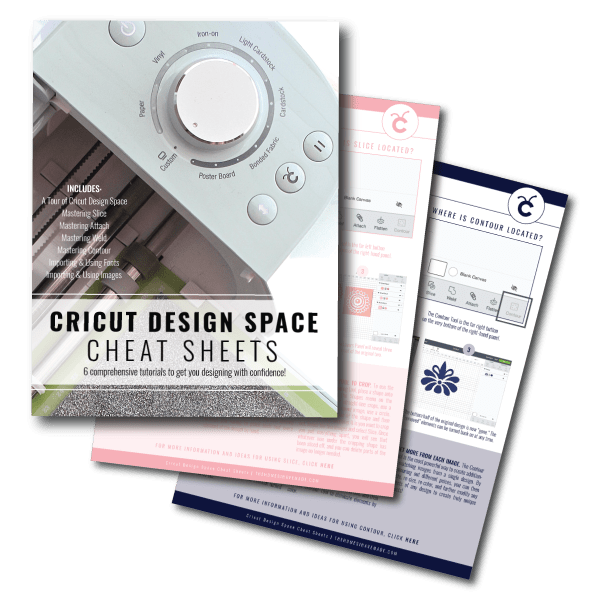 As many of you regular readers know, I am not at all a trained designer or decorator, and this whole blog started as a hobby. Rather, my education and career is in health and wellness. I have been a fitness instructor and personal trainer for going on 15 years, and have Masters degrees in both Exercise Physiology and Nutrition. Since having Henry almost 5 years ago (say whaaaaat? 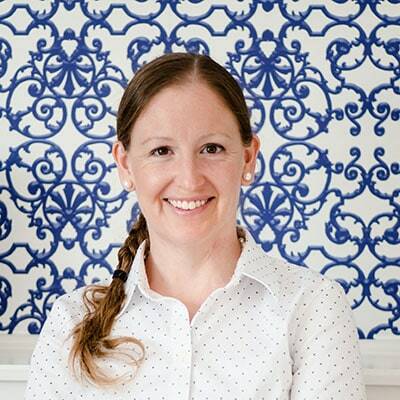 ), I haven’t been working in my career field; however since moving here to Kansas, I’ve been back teaching and re-kindling my love for all things health, fitness, and wellness! 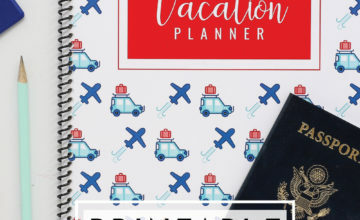 For today’s “Printable Tuesday, ” I am taking the rare opportunity to blend my love of home/organization/printables with my knowledge of health and fitness and am bringing you some pretty printables to help you track your fitness and diet! 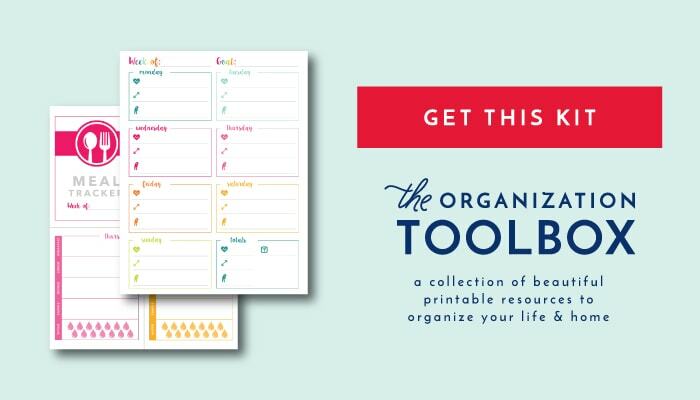 This week’s printable packet was born out of a desire to organize/clean out my gym bag…which was desperately needed. 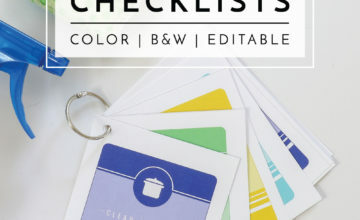 My plan was to show you what all is in my gym back and how I keep it organized, then offer these printables to go with it. Well, the post ended up crazy long, so I’m splitting it into two! Today, we’ll chat fitness and diet trackers, and this weekend I’ll show you the inside of my gym bag! 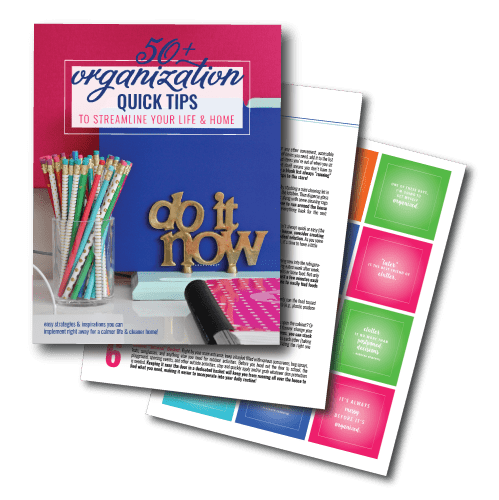 It is a well-known fact, especially when it comes to health, fitness, and weight-loss, that one of the best ways to remain accountable and actually make progress toward a fitness or weight-loss goal is to write things down. There is just something about setting goals and seeing your progress on paper that makes the journey that much more rewarding and successful! 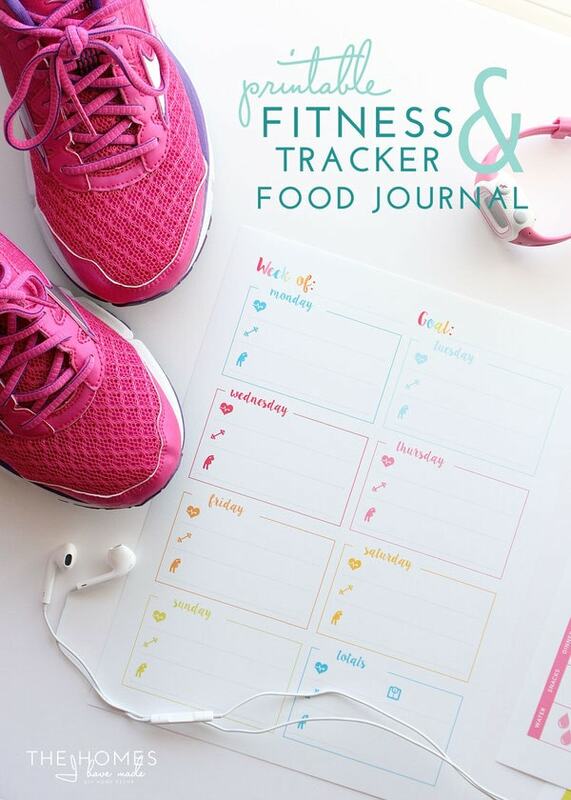 This free printable kit includes 4 different printables: monthly and weekly workout trackers, as well as a two-page food journal that I have used successfully with many of my clients over the years! Whether you have goals to simply incorporate more exercise into your day, are training for a specific event, or are trying to lose weight, these are some great resources to get you started. I’m certainly not going to give you all a lesson in fitness today, but any healthy lifestyle will include the four major components of physical fitness: cardiovascular exercise, strength training, flexibility training, and maintaining a healthy weight. 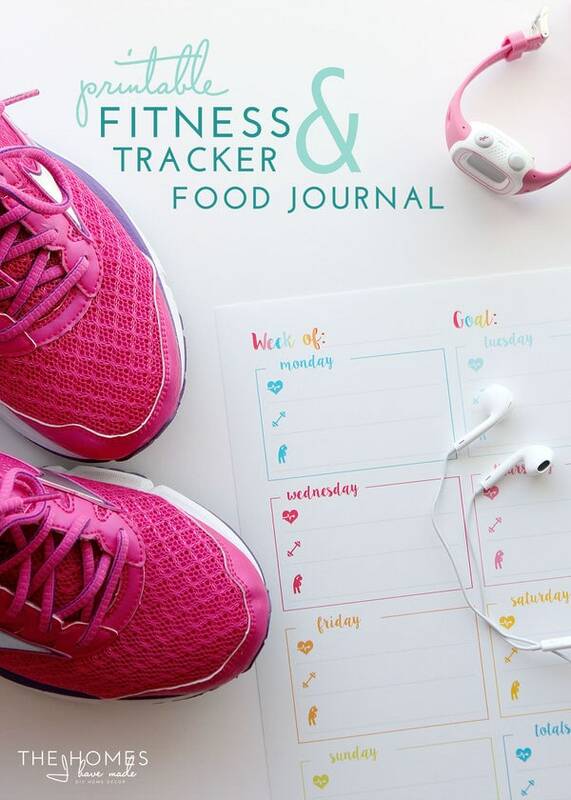 As such, my fitness trackers include spaces for you to log each of these different aspects of a well-rounded fitness plan. 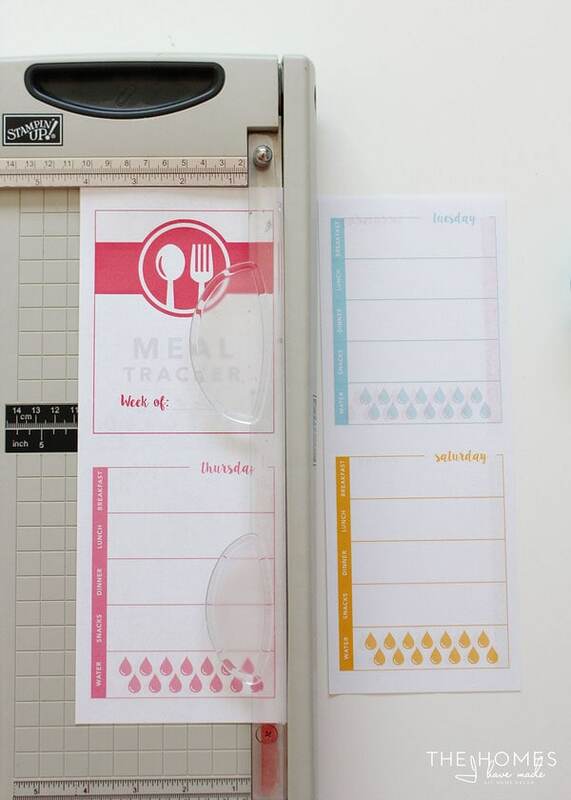 On the weekly tracker below, there is space for you to first log your weekly goal. It doesn’t have to be complicated or grand. Just define a goal for the week ahead. Exercising a certain number of days/minutes, running/walking a certain number of miles each day/week, or just getting to all your fitness classes are all great goals to start with! Underneath the goal/date section, I’ve given you 8 grids to log the specifics of your daily workouts. While you may not do Cardio (the heart), Strength (the weight), and Flexibility (the person) all in a single day, try to have a variety of exercises across the week! In the final grid, add up your total minutes or workouts across the week and see if you met your goal. I also recommend weighing yourself once a week (especially if you’re trying to lose weight), as it will help you determine if you’re doing enough to meet your goals! 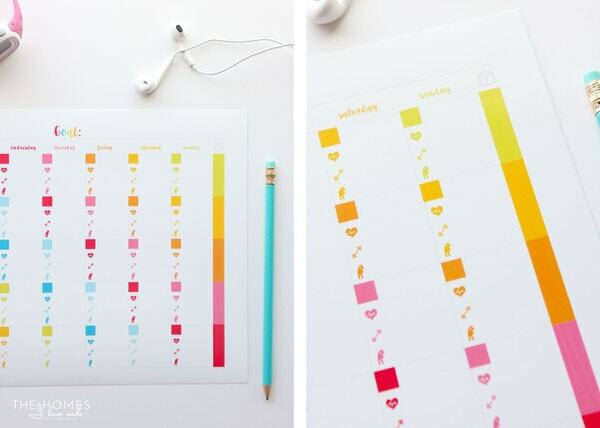 The monthly version comes un-dated so you can use it month after month; and there is a place to set a monthly goal on this one too. 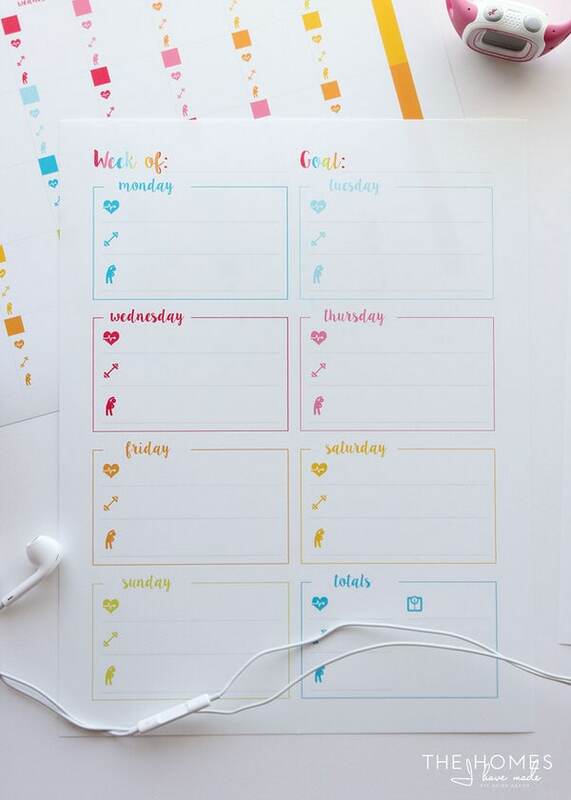 After printing it out, populate the squares with the dates of the month, and then log your cardio, strength and flexibility exercises as you do them. You can record any information that is helpful for you: minutes, miles, classes, program, video, routine…or even a check mark just to show you did it! 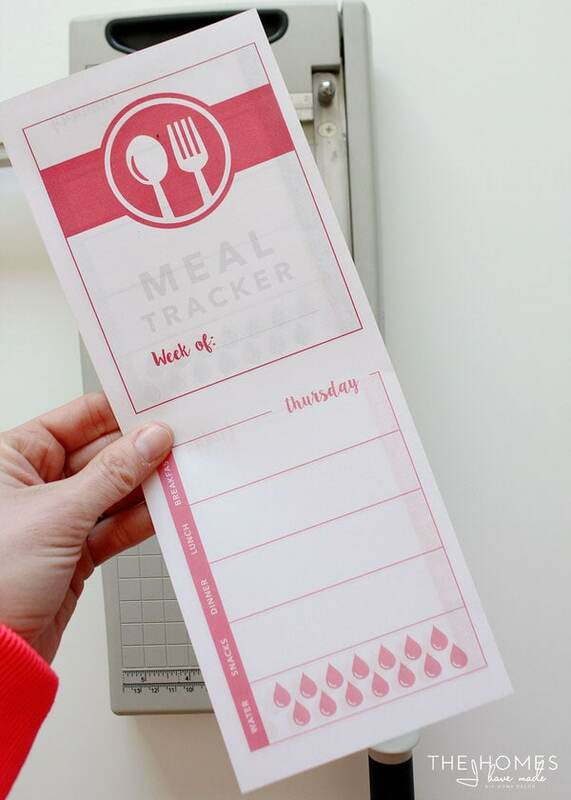 Along the right-hand side of the monthly tracker, I left a column for you to log your weekly weight if you so choose! For many years, I worked side-by-side with women who were working hard to lose weight thought diet and exercise. 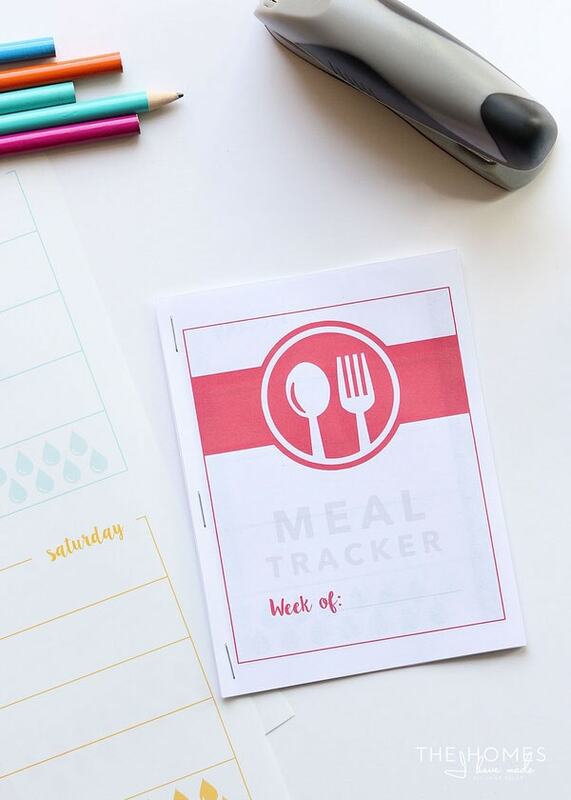 In addition to setting exercise goals and tracking them on paper, the other thing I insisted from my clients was that they track their daily food intake. I’ve said it already, but I’ll say it again. Writing it down holds you more accountable. Whether it be by points, calories, servings, or whatever metric you are using or makes sense for you, get into the habit of writing it all down and holding yourself accountable. 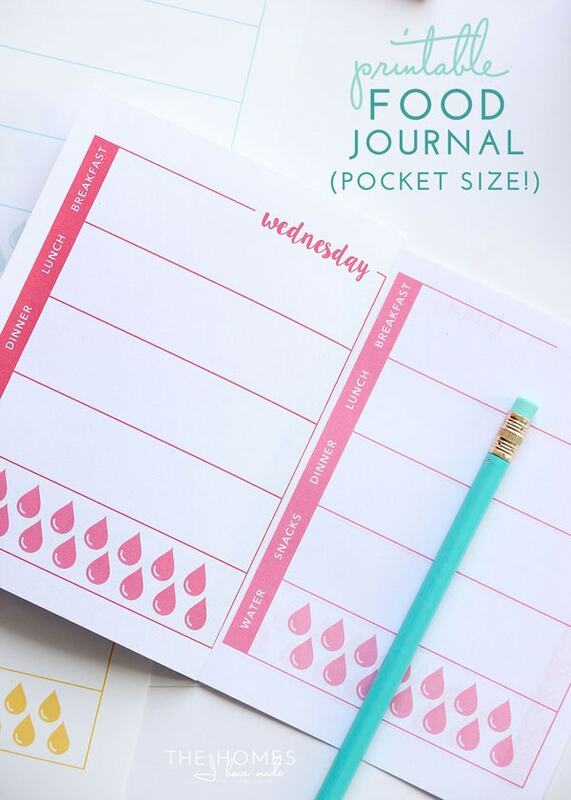 Any journal, notebook, app or scrap of paper can work as a food journal…but year after year, client after client have LOVED these little pocket-sized food journals. 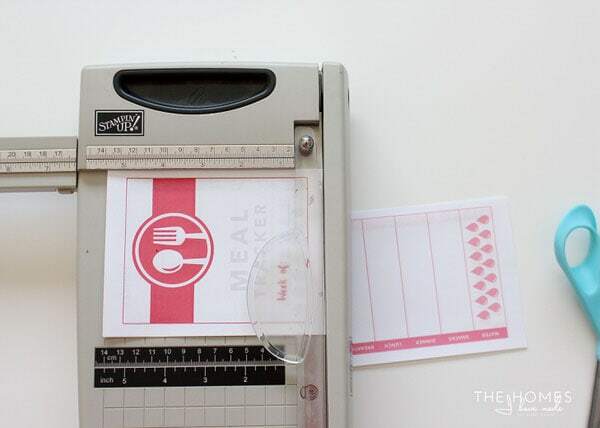 Not only are these food trackers split into days and give you space to record your breakfast, lunch, dinner, snacks, and water intake, but they can be cut apart and stapled together into a little booklet that can be tucked into your purse, pocket or wallet for easy/frequent access! Let me show you what I mean! 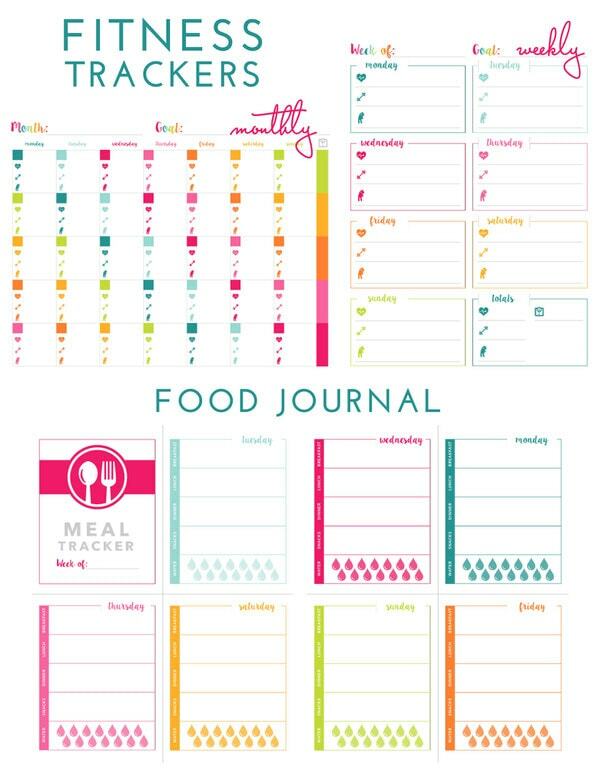 Start by printing this two-page food journal TWO SIDED! 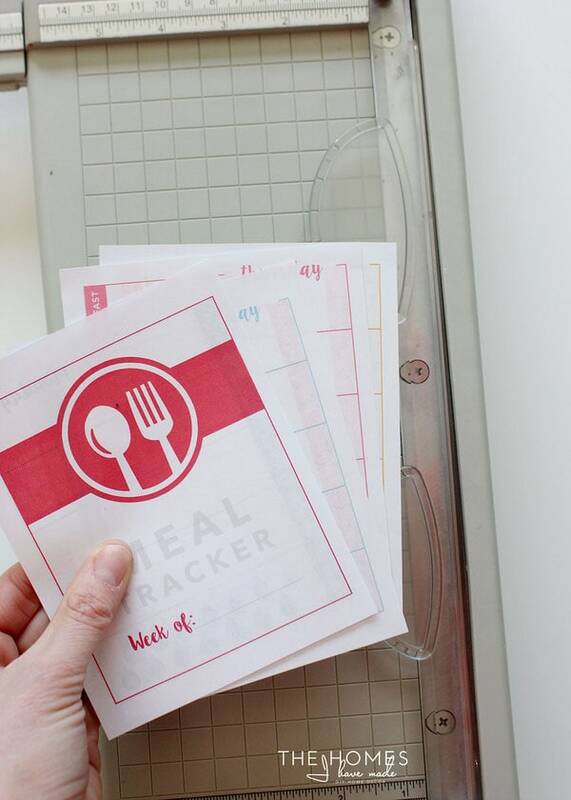 Stack your sheets with the “Meal Tracker” square on the front… then using a paper trimmer or scissors, cut the paper in half length-wise. 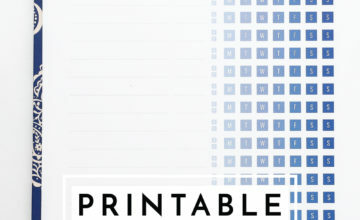 If you cut it just as I described, you’ll have a 1/4-sheet sized notebook that is perfectly ordered and ready to go! Staple the sheets along the left side and keep with you! Fill in each category as you eat (don’t wait, people tend to forget some things they ate!! ), and check off drops of water for each 8 oz. glass you drink! At the end of each day/week, look through your journal and look for patterns. Are you staying within your calorie/point/serving goals? Do you have times of the day/week when you tend to struggle more than others? 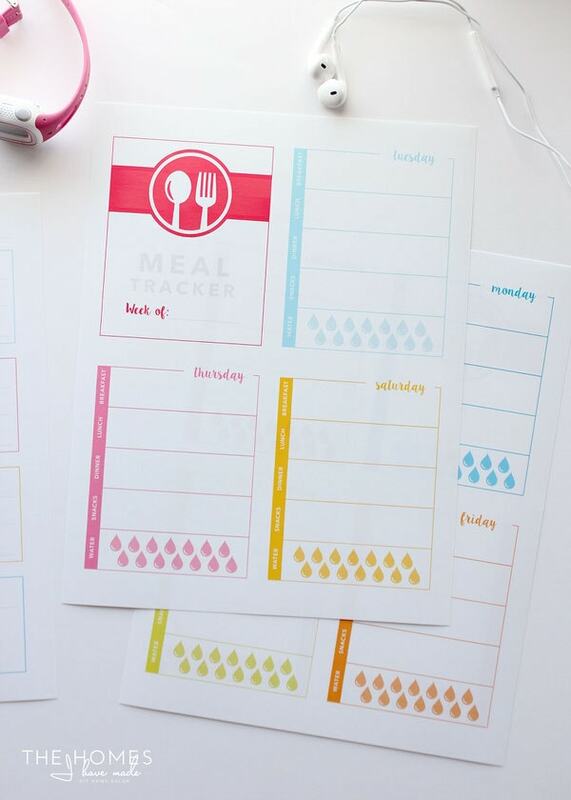 Don’t just fill out your food intake…be sure to take the time to analyze it too! 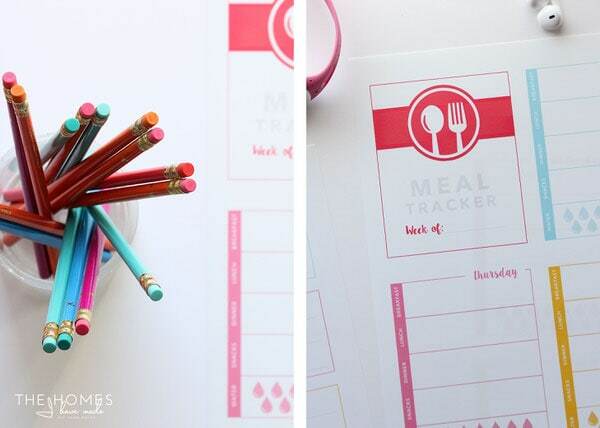 These Food and Fitness Trackers have been uploaded to The Organization Toolbox and are available for download right now! 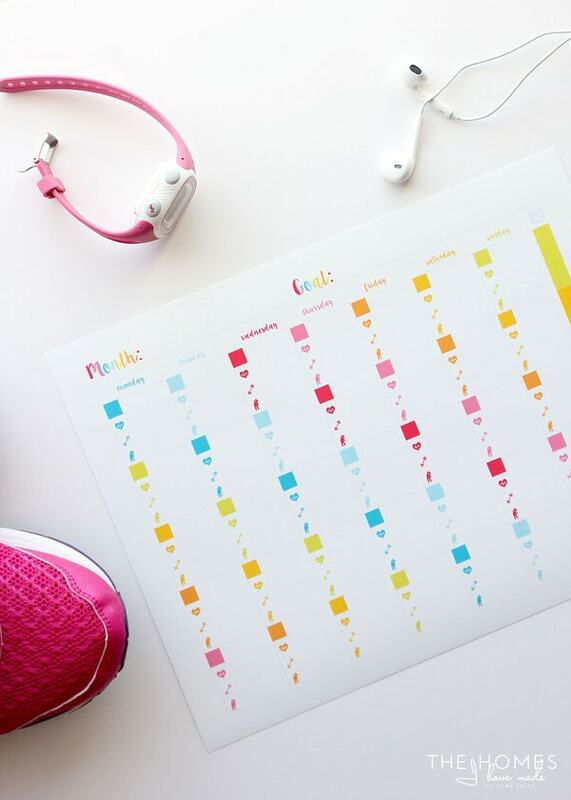 I realize this printable kit is a bit out of the norm of what I typically do and offer here on the blog, but I do know that so many people struggle with their health and fitness. 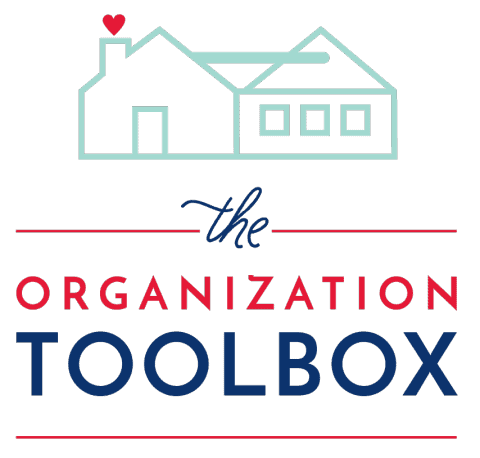 It is my hope that these are pretty, simple, and useful tools to get you on a path to a healthier lifestyle! Later this week, I’m wrapping up my 1 Dresser 4 Ways series and will be showing you the inside of my gym bag! 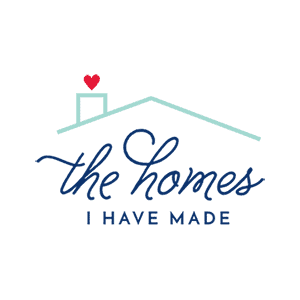 Two great posts are coming up, so be sure to come back and see me soon! P.S. Looking for more diet tips?! 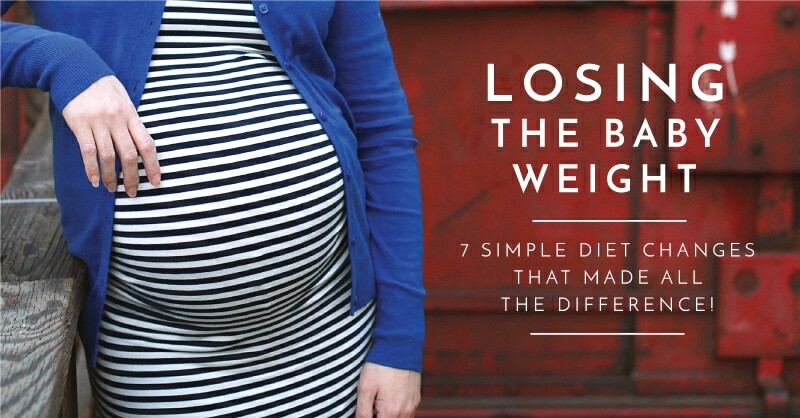 I shared the 7 dietary changes I made to kick the last of my baby weight here!